Today’s review is going to be of the Maybelline Color Sensational Shaping Lip Liner, I have the shade Dusty Rose but it comes in 8 shades. 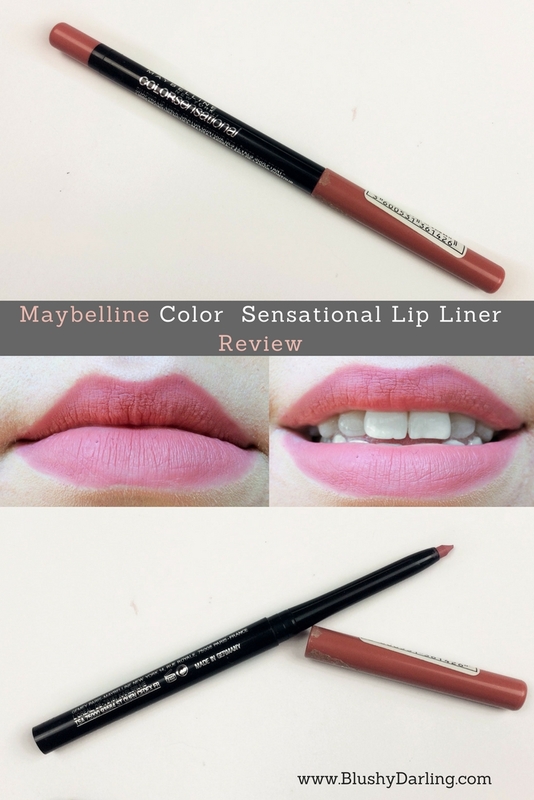 I’m such a fan of the Color Sensational line from them, their lipsticks are some of my favourites, as you can see from this review Maybelline Colour Sensational Matte. When I saw they had lip liners I kind of had a moment because I’m starting to love and use lip liners a lot more lately. They are so easy to apply and these new formulas can usually be worn in place of a lipstick but they last so much longer. The packaging is really long and skinny in a hard plastic material. It’s a twist up pencil which I totally prefer so I love that and it also comes with a sharpener in the back so you can always have a point. You can see the shade from the cap and the back. I literally think the packaging is awesome. The formula is very creamy, not to the point that it bleeds, but it’s easy to apply and it doesn’t drag the lip. Thanks to the sharpener you always have the point so it’s easy to create a precise line. 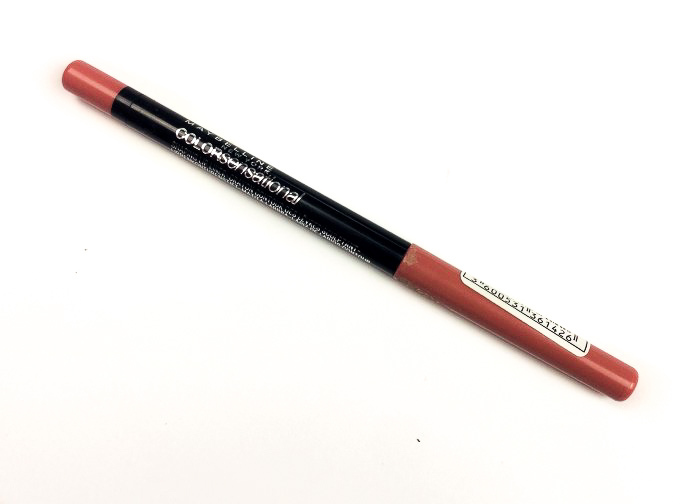 Some lip liners are really sticky but this isn’t. On me this lasts about 4 hours, it doesn’t resist through a meal but it fades really nicely. 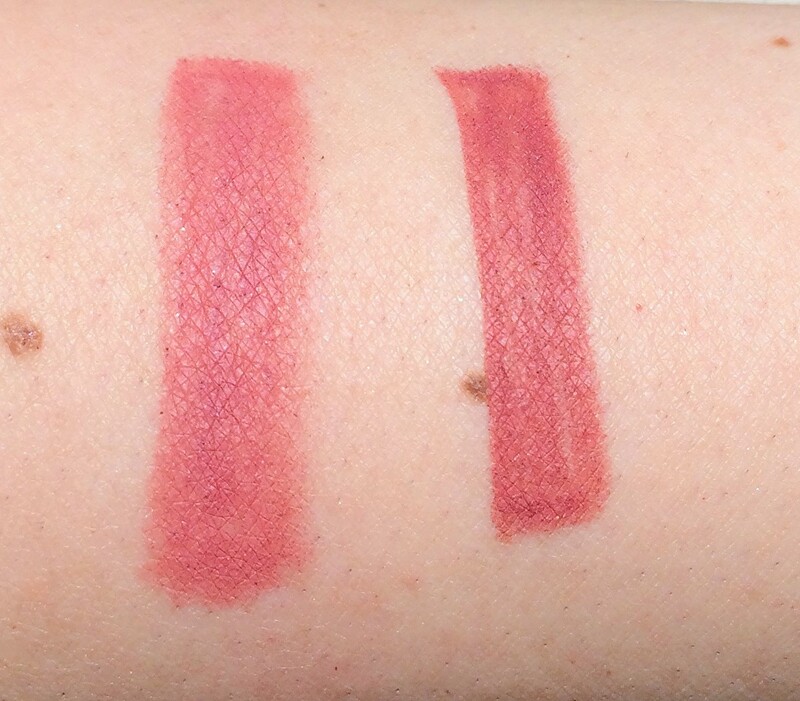 On the right, you can see it compared to MAC Lip Liner in Soar. They are almost identical in shades, Soar is slightly darker and drier. If you don’t want to spend 15$ on a lip liner go with Maybelline. 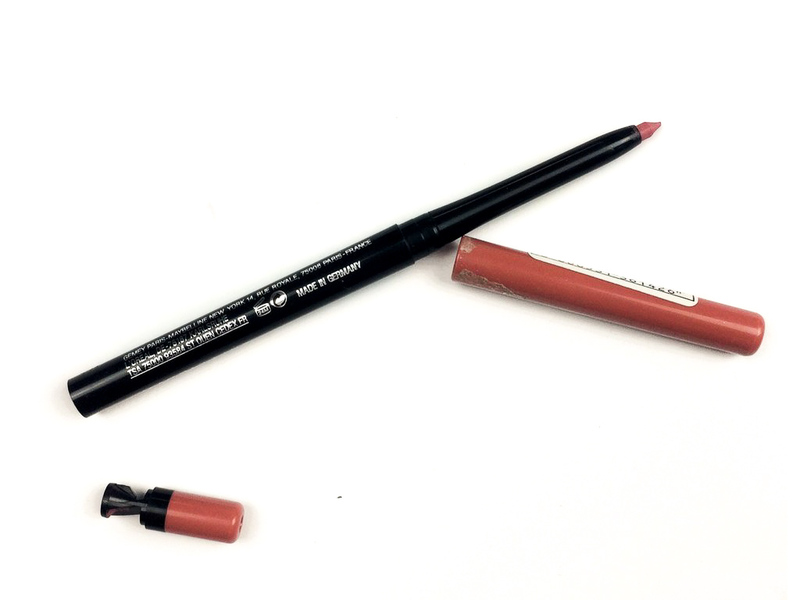 I love this lip liner, I love the colour, the packaging and the way it applies. I think the lasting power is great. Overall I’m very impressed, definitely going to pick up other shades, for the price, you can’t go wrong. Mimi, I love this color! In your pic, are you wearing the liner on the entire lip? Thanks Mimi, I wanted to know. Looks awesome! Amazing that it lasts for hours. Good to know. This is a beautiful liner color. I’m not good about wearing lip liner but tried some the other day and it makes such a difference! This one is going on my shopping list! I love this shade. It’s very versatile but still makes a statement. And it looks great on you! Dusty rose color is perfect for make up as gives that natural look need to check if this is available in my market I want to try it. This is such a beautiful color! Maybelline makes some amazing products that last a long time. Maybelline has always had a wonderful line of cosmetics. 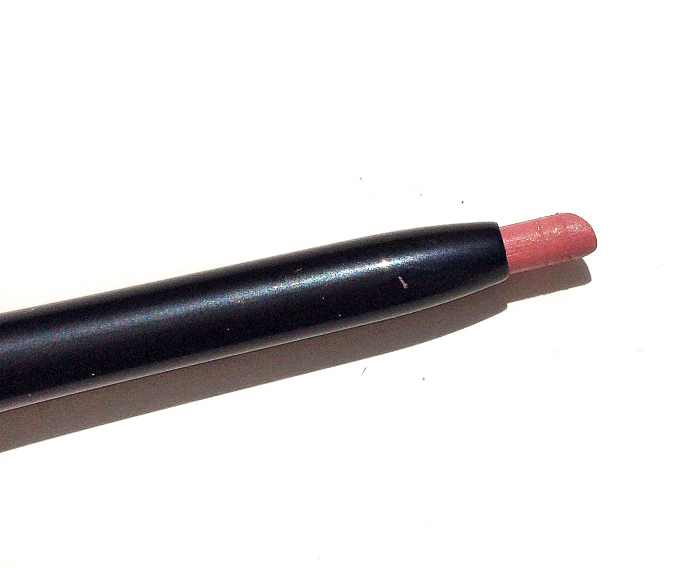 Like the color of the lip liner and looks easy to apply. I adore this color! It doesn’t seem to make your lips dry. I’m gonna give this lip pencil a try. The color looks so pretty! It’s the shade I usually get because I find it the most flattering for me. I’ve never even seen this brand. Such a pretty color! Hmm, I’ve been buying a lot more lip liner…i’ll have to check and see if it comes in plums or outrageous colors since thats the way my makeup tends to lean! I really want to get a darker colour too, the formula is so bomb! Very pretty! I’m a little disappointed it only lasts about 4 hours because it’d be nice if it lasted through an entire work day but for that price, it’s a great deal! I really like that it can be sharpened! What a nice selling feature that most liners don’t have! 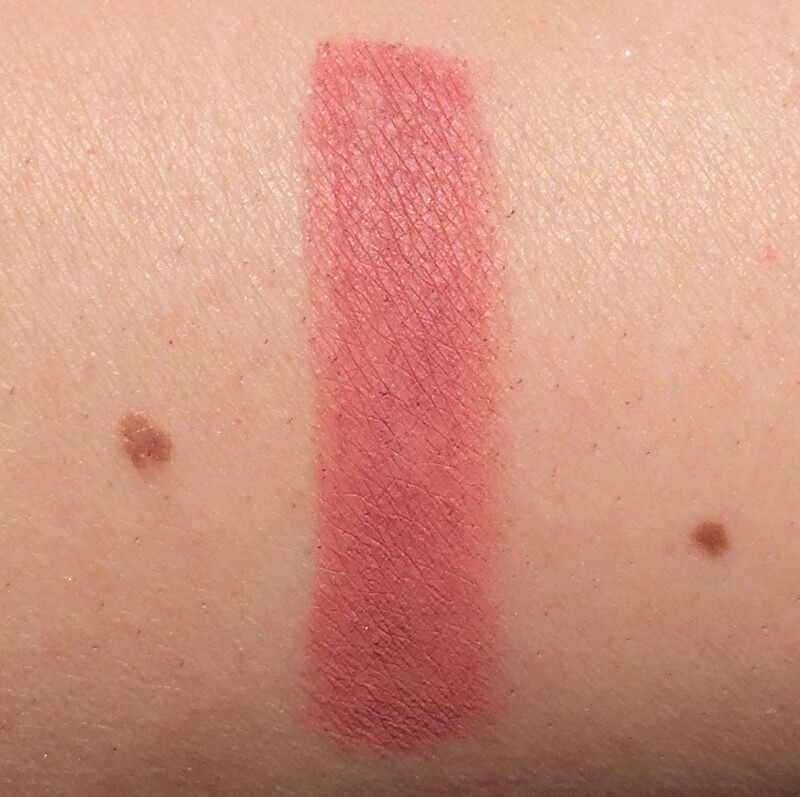 Oh I love this color and that it’s just as good as the more expensive MAC shade. I always am looking for great makeup at a bargain. Loving the shade. I have to admit, I havent used a lip liner in a long time but might have to give this a shot. 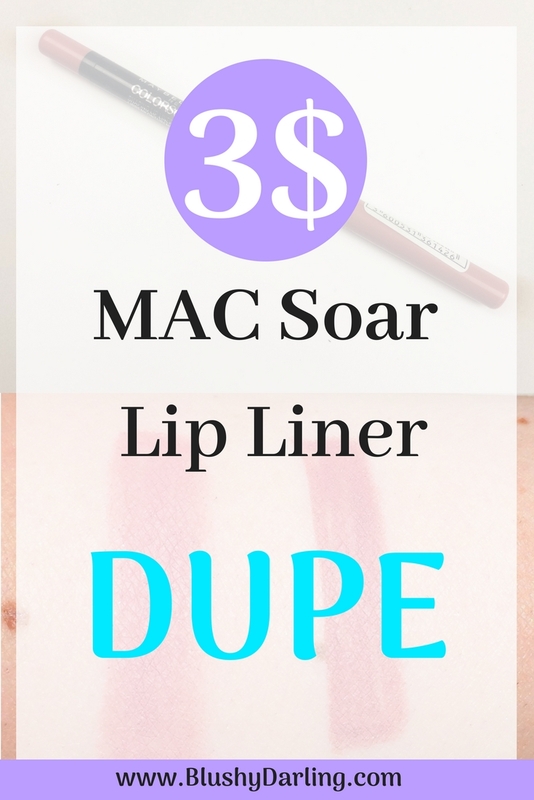 Love how pretty and natural this liner looks, and I do love a creamy lip product! Ive every tried this product before but I looove that color!! The colour is so pretty!! I love the shade, going to have to get some for my wife. Thanks for sharing it.